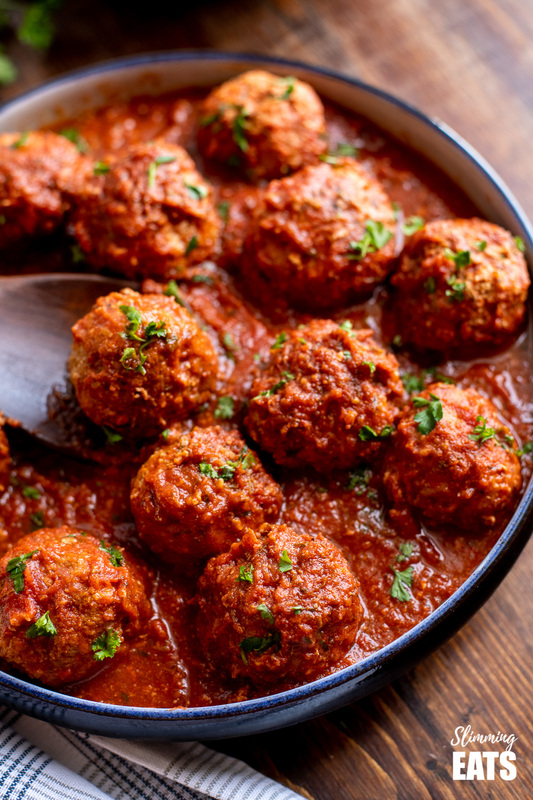 Slow Cooker Italian Chicken Meatballs – the whole family will love these super tender Italian Style Chicken Meatballs in a Rich Tomato Sauce. 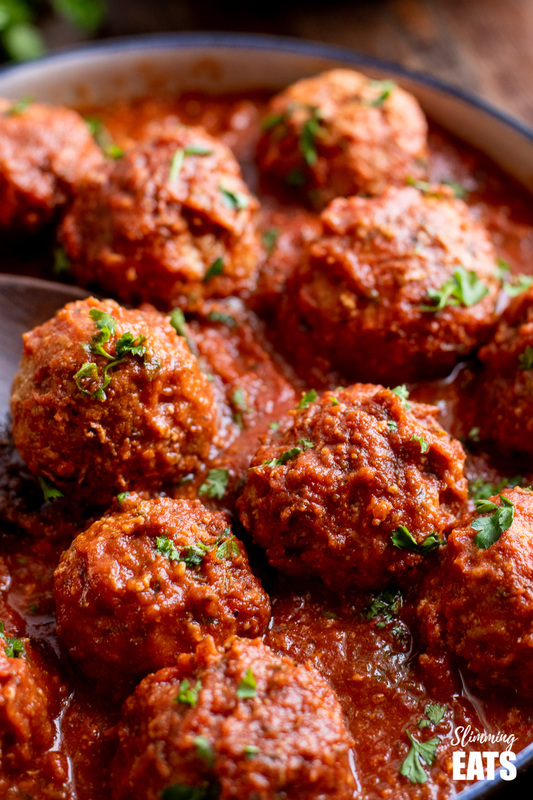 Who doesn’t love meatballs? Especially when served over some yummy filling cooked pasta. Luckily on Slimming World pasta is free food, so you don’t need to feel guilty about adding it to your plate. Just add a 1/3 speed foods to naturally balance out your plate. Wondering more about how Speed Foods work within the Slimming World plan? Check out – The Benefit of Speeds Foods. These are the foods that will bulk out your meals keeping you full and well satiated. They are an important part of the Slimming World Plan. 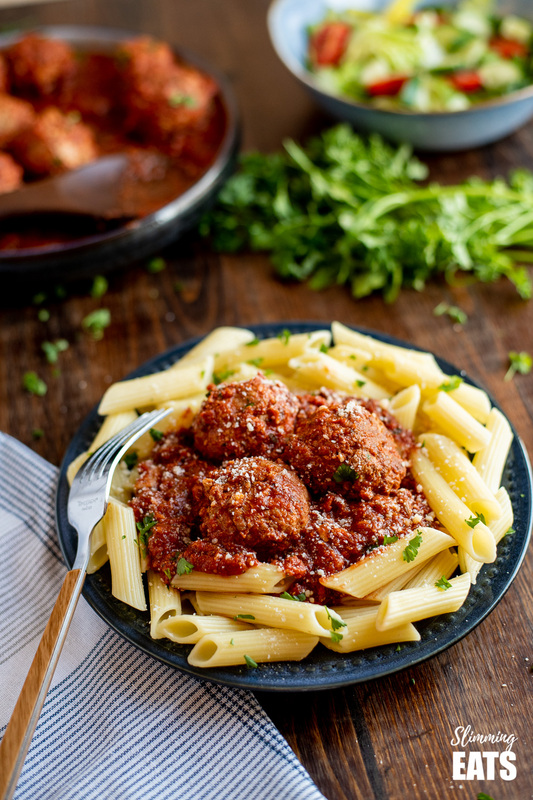 I’ve been loving using ground chicken lately in recipes, it’s super lean and perfect for recipes like this Slow Cooker Italian Chicken Meatballs. Don’t worry if you can’t get ground chicken, as ground turkey will work just as good too. You will notice I add breadcrumbs to my meatballs. 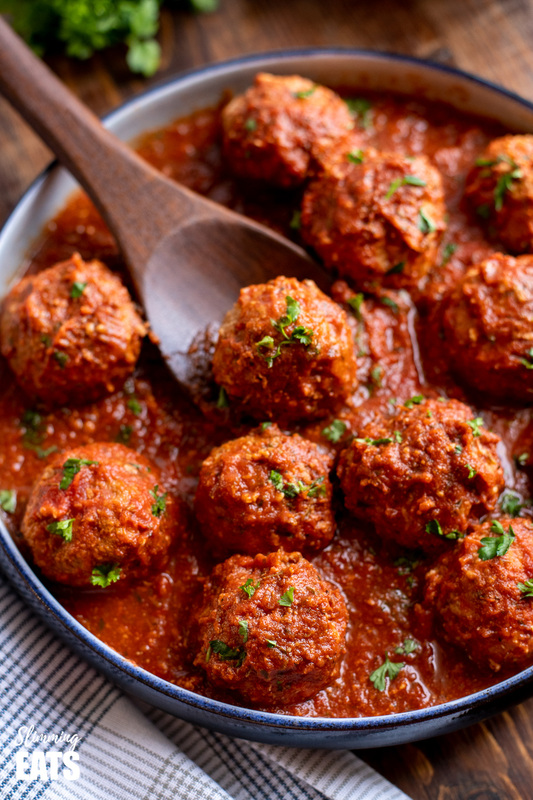 You may be tempted to try and skip those to save the syns, but trust me, they really help to keep the meatballs nice and tender. Extra Lean mince can be a little dry on its own otherwise. If you are gluten free, ground almonds are a great substitute and have a similar syn value, so use those in place of breadcrumbs if you can’t eat gluten. Not got a slow cooker and wonder which ones are best? There are many great slow cookers out there. But I recommend choosing ones like this Andrew James Slow Cooker that has a delayed start time and an inner pot that can be removed and placed on the hob or in the oven, that way if you need to do any browning you don’t need to use a separate pan. Hey if you want a slow cooker that has all the bells n whistles. Go for an Instant Pot, which is not actually a slow cooker, it’s a multi-function pressure cooker, but with a slow cooker option on it too, it can do pretty much everything. 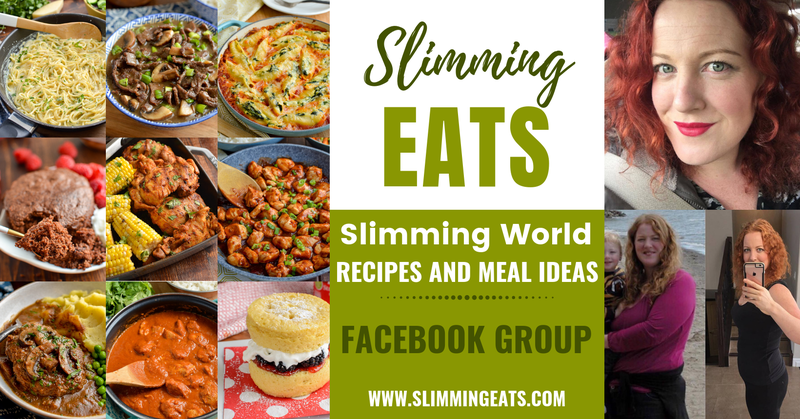 or head on over to my FULL RECIPE INDEX with over 850+ delicious Slimming World Recipes all fully searchable by meal type, ingredients, syn value etc. 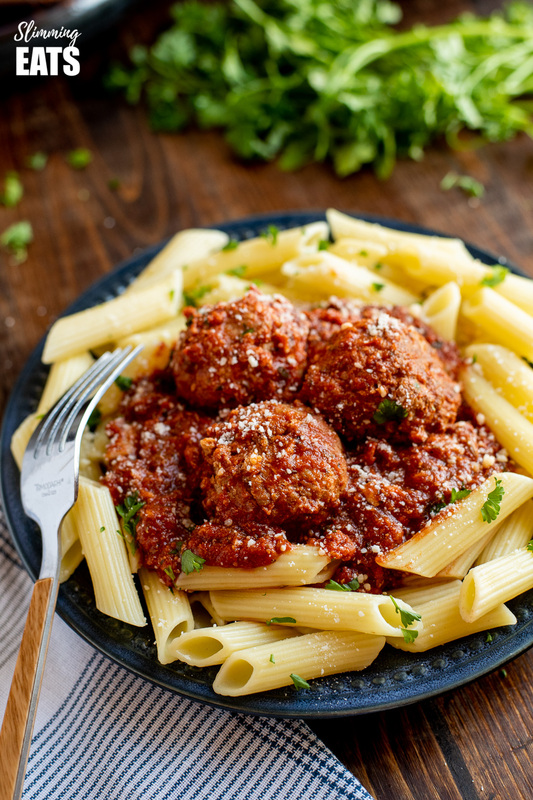 HOW CAN I ADD A 1/3 SPEED FOODS TO THIS SLOW COOKER ITALIAN CHICKEN MEATBALLS? I like to pair this up with a big mixed salad that I serve in the middle of the table for everyone to help themselves to, it’s a great way to encourage little ones to eat more veggies too, as they are normally keener to try if I haven’t forced it on their plate. Crisp lettuce, tomatoes, baby cucumber, beetroot is our fav alongside a variety of dressings for them to choose from. We do love the low syn poppyseed dressing though on this Chicken, Strawberry and Avocado Salad. 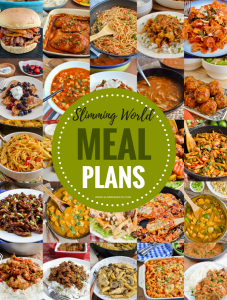 Another great option is some spiralized zucchini (courgette) or another vegetable of choice instead of the pasta, a great idea if you are doing Weight Watchers and on limited daily points or are following a Slimming World SP day. There are some great spiralizers out there. Such as this Heavy Duty Spiralizer, I had one of those up until recently when I upgrading to this amazing Kitchen Aid Mixer Spiralizer attachment. I haven’t had a chance to test it out yet but will let you know how good it is once I do. 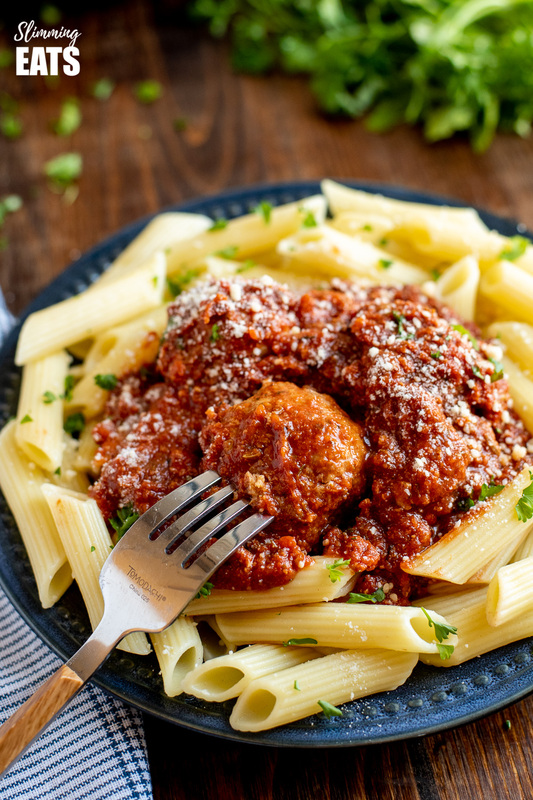 WHAT KITCHEN ITEMS DO I NEED TO MAKE THIS SLOW COOKER ITALIAN CHICKEN MEATBALLS? 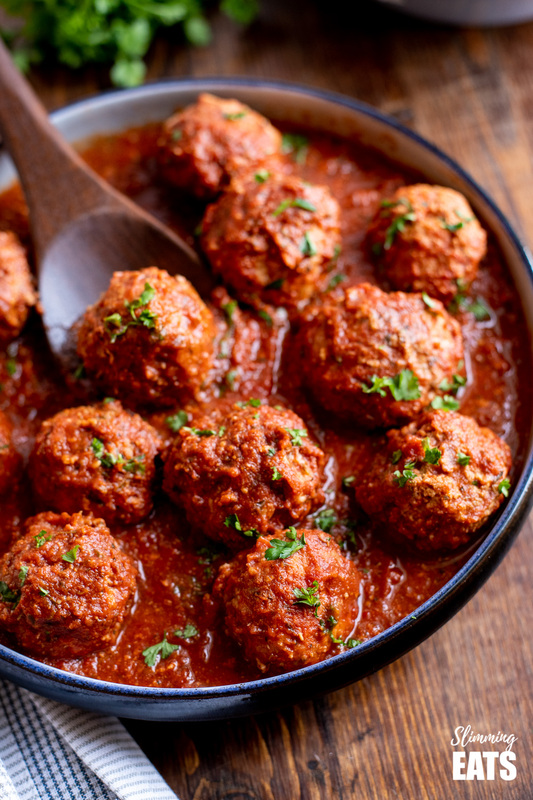 Slow Cooker Italian Chicken Meatballs - the whole family will love these super tender Italian Style Chicken Meatballs in a Rich Tomato Sauce. Add all the ingredients for the sauce to a bowl, and mix till well combined. Add into into the slow cooker. Add the ingredients for the meatballs to a bowl and mix to combine then form into meatballs. ( I made 12 decent sized ones). Carefully drop them into the sauce and spoon some of the sauce over any uncovered ones. Set slow cooker on low for 6 hours. Once cooked, season to taste with salt and black pepper and sprinkle with fresh parsley and serve with your choice of sides. A little finely grated parmesan over the top synned or as part of your healthy extra A choice is a great addition. NOTE: If using passata instead of crushed tomatoes, you may want to add an additional tbs of tomato paste as crushed tomatoes are slightly thicker in consistency. Siobhan I’m an avid fan but I don’t have a slow cooker or instant pot and don’t intend to buy any more kitchen kit. Ive noticed your recent posts are mainly for slow cookers. Any chance you could “convert” them to normal cooking too? They look so yummy I would love your guidance. Hi Theresa, thank for your message. I don’t like to post a conversion for stove top unless I have tested it out as I like to make sure all my recipes are perfect. Don’t worry though there will be plenty more recipes coming which don’t require a slow cooker. Many like the slow cooker this fine of year so I like to add a few here and there. Don’t forget there are over 850 recipes on here now, so give some of the others a you haven’t yet a try and before you know it there will be a brand new non slow cooker recipe on the blog. Hiya how many Syns are in this all I can find is low Syns? Thank you!